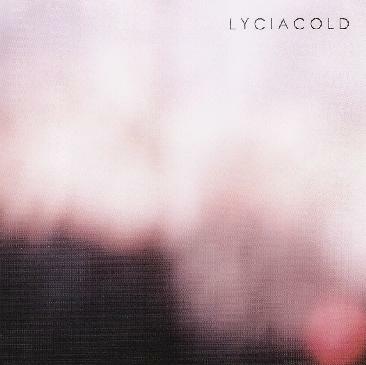 The Silber Records Lycia series continues with this reissue of the band's 1996 Cold album. Though Lycia have been around for many years, the Silber releases have been my introduction to their music. I was particularly keen to hear this one after reading in the promo sheet that Cold was popular among the Black Metal and Space Rock crowds, and that older rockers in Hawkwind and Motorhead t-shirts were seen side-by-side with teenaged Goths at concerts on the tour for the album. The music on Cold is definitely Gothic/Darkwave in nature, though there's also a heavily symphonic keyboard presence and some Space Rock flavored synths. The atmosphere is dark and somber, yet dreamily melodic. Among the highlights is "Bare", which has a Gothic core, plus Space-Prog keyboards and nice dual vocals from Tara Vanflower and Mike VanPortfleet. Lycia excel at beautiful melodies surrounded by majestic symphonics, typically delivered at a slowly drugged pace. Real sweep you away kind of stuff. I do tend to prefer Tara's vocals, although I must say in general that the best Goth music I've heard has female vocals. One exception is "Drifting", which I think Mike's vocals were ideal for (Tara does join in later in the song). "Polaris" is another one of my favorites, being a spacey, orchestral Gothic exploratory piece, with chanting vocals from Tara. So yes, I can easily see where Cold would appeal to a Space Rock audience, and really their previous album, The Burning Circle and then Dust, would as well. In fact, the two are excellent companion albums.